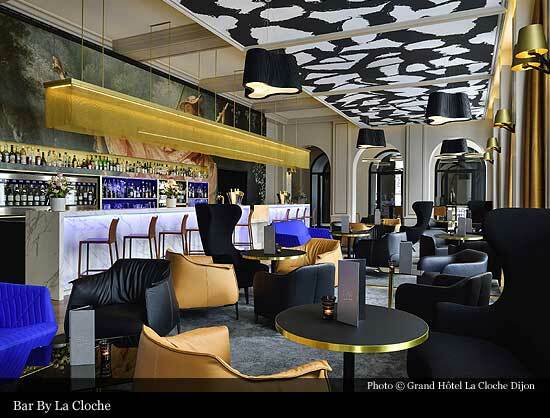 Hotel de la Cloche is the jewel in the crown of Dijon’s hotels. 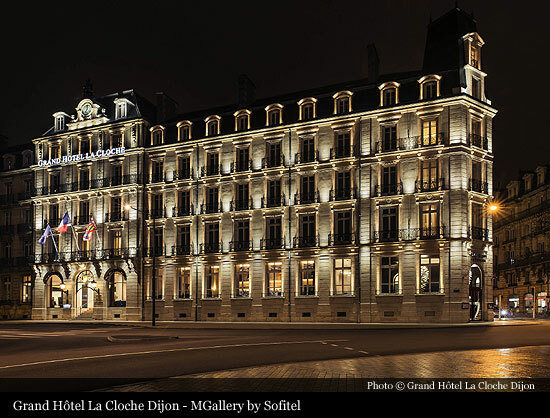 A veritable Dijon landmark building, and a witness to more than five centuries of Dijon history. 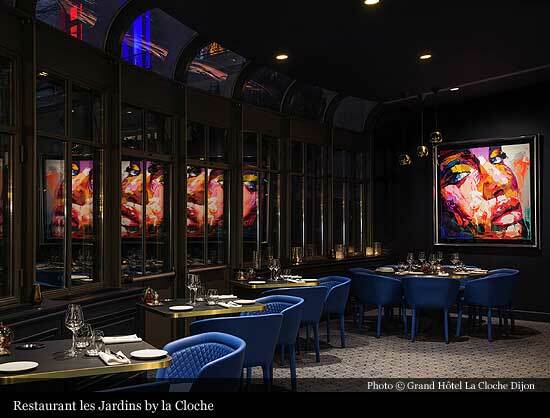 The origins of La Cloche are shrouded in the mists of time, since an "Ostellerie de la Cloche" is already mentioned as far back as 1424. 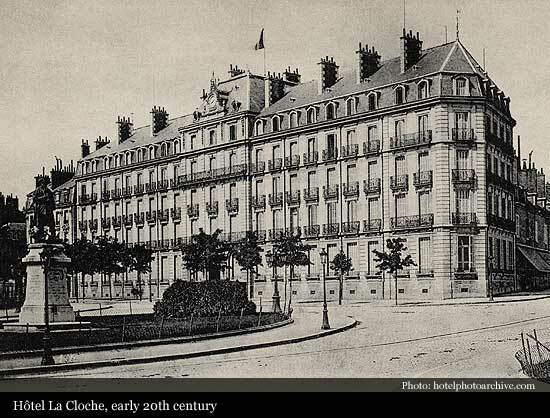 Through the centuries, the hotel has not ceased to build on its proud reputation at the same time forging an indissoluble bond with Burgundy's first city and its inhabitants. 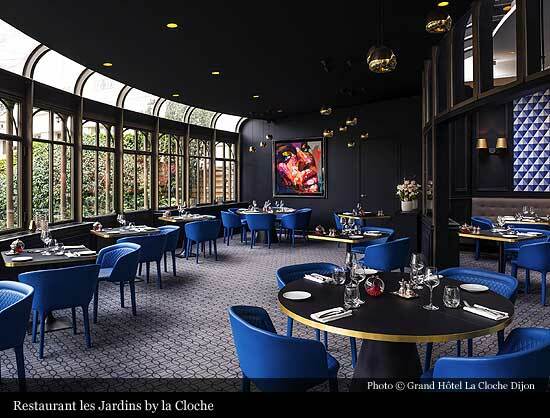 Situated on the Place Darcy since 1884, La Cloche, like a fine wine, has continued to improve, contributing to Dijon's worldwide reputation, by demanding, and maintaining, a certain style and standard of luxury, while successfully adapting to present day economic constraints, and the changing expectations of its clients. Its important location, and the talents demonstrated by the hotel's long line of distinguished managers have made it a choice stopping-off place for the truly discerning traveller. 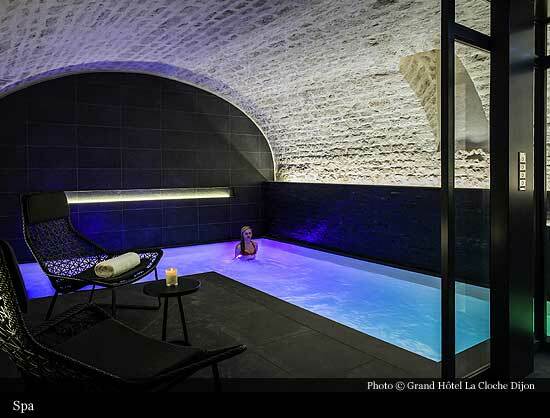 Many famous personalities from the past slept here: Albert I of Belgium and Princess Grace of Monaco were regular visitors, while Maurice Chevalier stayed here to recover from the after effects of being honored at the Clos de Vougeot. The 1970s sounded the death knell for this golden age. The wealthy guests grew scarce. 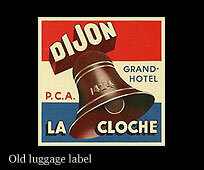 The name of La Cloche - the French for "bell" - no longer carried as far, nor as loudly as in the past. In 1973, the hotel was put up for sale. A developer came forward as a buyer with a project to demolish it and rebuild on the site. The contents were put up for auction, giving many of Dijon's inhabitants the first opportunity to penetrate into this "holy of holies". Some of them almost came to blows over the furniture, silverware and initialled china, as the crowds pressed through the rooms. Soon after, the work began. It immediately ran into opposition from an association whose goal was to ensure the preservation of the building's facade. Legal appeals and petitions succeeded in temporarily halting the bulldozers. As the debate grew in scale, the national press began to take an interest. 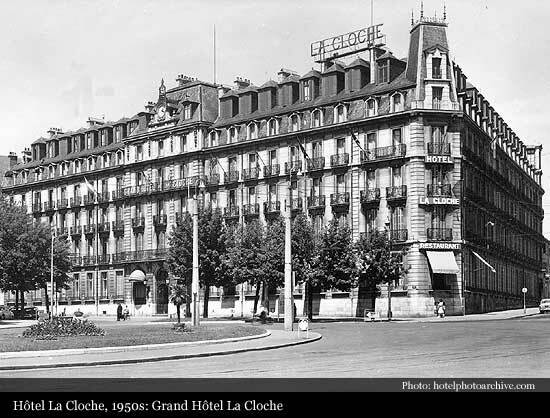 Then, on October 29th 1975, the minister of culture, added the hotel's facade and roofing to the list of protected historical monuments, the "preservationists" were overjoyed, La Cloche was saved! A financial trust bought back the business together with the building. Offices and flats were built on either side of the hotel which reopened its doors in 1982. 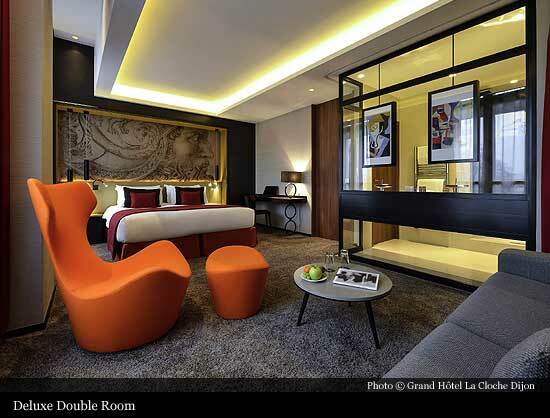 Since 1994, the property belongs to the Sofitel chain of hotels. The visitors' book is a testament to the guests' satisfaction. 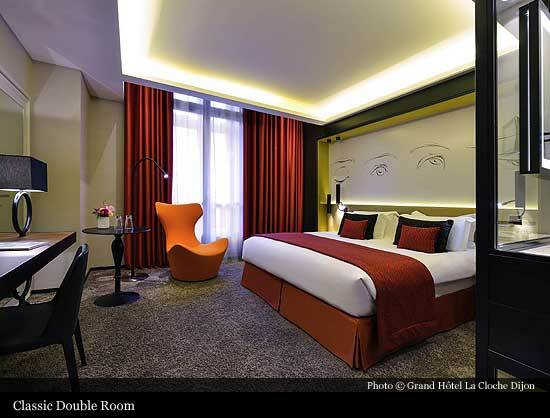 Comedian Guy Bedos dryly remarks: "Fine hotel, fine welcome, good night." 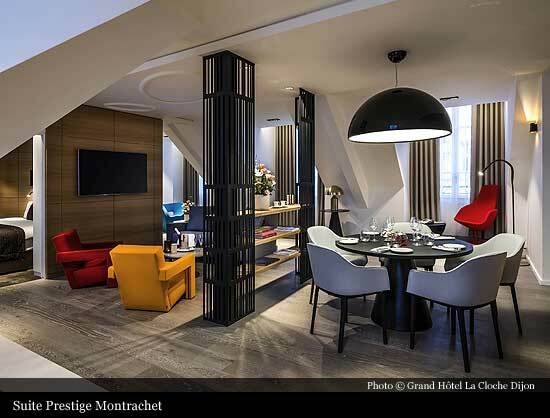 Charles Aznavour never fails to book in whenever his route takes him through the capital of Burgundy. This is a place where artists, musicians and actors from home and abroad rub shoulders: Joan Baez, Joe Cocker, Jean Réno, Jacques Villeret, Luc Besson, Philippe Noiret, Patricia Kaas, Barbara Hendricks... 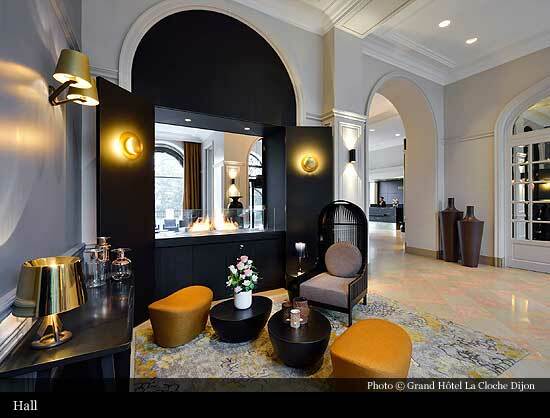 Figures from the world of politics Philippe Seguin, Pierre Joxe, Bernadette Chirac also enjoyed staying here. And one must not forget the people of Dijon themselves who often decide to celebrate a special event by experiencing a "night of magic" in this exceptional setting.